Email has an ability many channels dont: creating valuable, personal touches – at scale. Email is an essential tool in marketing of a business online. If you are unaware of email marketing techniques then do read the following, carefully. 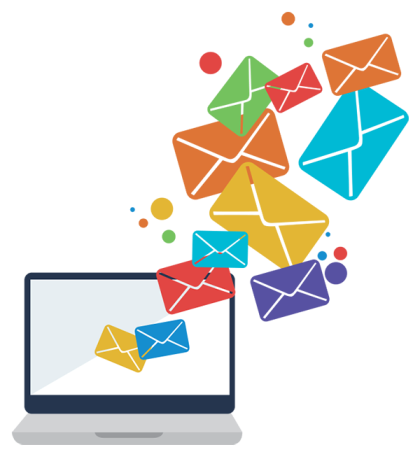 Email marketing is a direct marketing technique that uses emails for establishing marketing communication. Typically, every mail sent to a customer or potential customer comes under the bracket of email marketing. The purpose of sending out such mails depends upon the business and the goals it wants to achieve. The mail can be a promotional mail for a product/service, it can be an offer, etc. Most business use this strategy and have gained a lot of business through it. Even you can do it. The benefits of Email Marketing for your business? Good Return on Investment(ROI): According to stats, for every $1 spent on email marketing, the average return is $44.25. (Source: emailexpert). To achieve such great results, you need to do your email marketing correctly and we can teach you that. Directly target your customers: Everybody has an Email Id today and when you send a mail to your customer, it directly reaches them, easy targeting. Increases brand awareness: With just a click your customers can share your deals and offers with others. building your brand’s awareness. Measurable results: Email marketing draws precise and valuable metrics. With various tools available for measuring campaign results, you can even learn about consumer behavior. Build consumer loyalty: If you know how to do your email marketing right by using the best practices and not troubling your subscribers, you will build a strong consumer base. This is only a preview to the Email Marketing course in Jaipur – Quibus Trainings. We will make sure you get the best knowledge about email marketing techniques which will help you to increase your business significantly. If you are interesting to join this course then book your seat immediately as we run a small batch with limited students. Act quick or you will lose your seat.